Looking for the best place to sell sterling silver in the Sarasota, Tampa and St. Petersburg area? At Sarasota Antique Buyers we will give you a free verbal evaluation of all your vintage items. 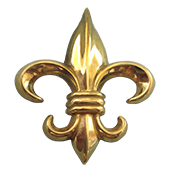 We purchase silver, gold, paintings, porcelain, and much more. As expert antique dealers we are always looking for vintage items; we also specialize in restoring, brokering and consignment. Sarasota Antique Silver Offers The Best Price For Your Precious Silver Antiques Like Nowhere Else – If you are still looking for reputable antique silver dealers near you in Lakeland, Orlando, Tampa, Bradenton or St. Petersburg, look into Sarasota Antique Buyers. We have been in this business for the past 22 years and during this period we have accumulated some of the most fascinating antique silver collections. Today, antique silver item such as trays, tea sets, bowls, flatware etc. command a very high price. Their historical value, craftsmanship and manufacturer, make them much sought after relics and you cannot find such items in the market today. So, when you sell an antique silver item, care must be taken to find the right antique silver dealer, as otherwise you cannot get the right price. What’s the value of your sterling silver? One of the most frequently asked questions we get from our customers is “how much is my silver worth?” The truth is: there are a variety of factors that will determine its worth. To get an honest and free analysis of the worth of your sterling silver, simply send us an email with photos and a description of each item. 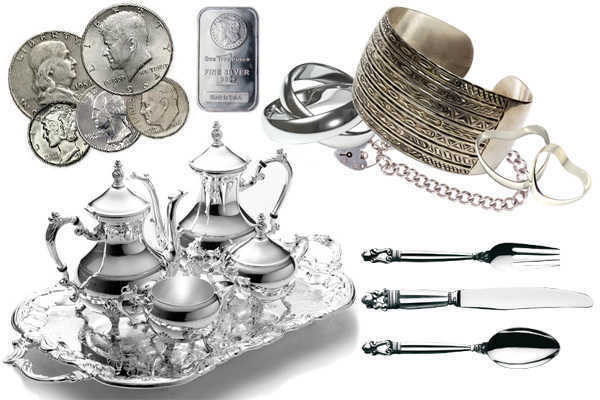 Before you sell sterling silver, it is recommended that you get an accurate understanding of what it’s worth. Please consult with a silver antique expert first. We buy sterling silver. As one of the most common investment pieces – from jewelry and coins to tableware and utensils, chances are you probably have a number of silver items in your home. There are different kinds, though, as many are a byproduct of gold, lead, zinc and copper refining. So how do you tell if your piece is sterling or plated? If you see a “925” or “sterling” stamp, the piece is most likely sterling. While plated pieces can looking strikingly similar, they are actually made primarily of another type of medal, like copper, and heat-fused with a top layer of silver. May be you have a sterling silver piece that is damaged and want to know if it has an higher intrinsic value than just scrap silver. People ask as all the time if we are scrap silver buyers. We are if the piece is antique. To determine what kind of piece it is and how it is worth, give us a call or send us an email at Sarasota Antique Buyers of Sarasota, Tampa and St. Petersburg or come visit our store for a free analysis. What do the makers marks on my silver mean? We, at Sarasota Antique Buyers, offer the perfect price for your valuable silver items. When we get such pieces, we consider them as fabulous pieces of art. Hence we polish them and put them on display. We do not melt the silver for reuse, which is what most silver dealers in the market will do. We understand the historical nature of the work and its intricate beauty, based on which we offer the price. Come to us and get cash that is truly worth the silver antique and don’t settle for less. We are headquartered in Sarasota but you can also get a free evaluation at Orlando, Tampa, Bradenton, Lakeland and St. Petersburg. Whether you are looking for a place to sell your antique silver and antiques as individual pieces or as a whole estate sale, give us a call today to discuss the many options we make available to our loyal clients of Sarasota, Lakeland, Tampa and St. Petersburg. You can come visit our office or we will be happy to come to you for your convenience!